A bright sunny Sunday afternoon on the Boston waterfront and some tired looking people. Hah! 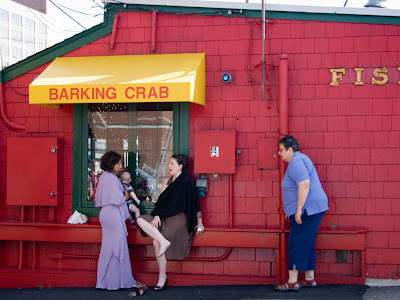 Never knew crab barked -:) Fun name for a crab shack!